Lee Brotherton, a.k.a. 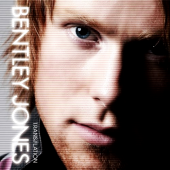 Bentley Jones, is best known in the gaming community for writing and performing “Dreams of an Absolution” for the 2006 Sonic the Hedgehog video game. He’s also an accomplished artist in his own right, producing many of his own songs as well as remixes for popular artists. 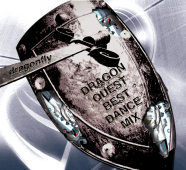 The first Dragon Quest Remix album approved by Koichi Sugiyama comes out next week. I initially said this would be all trance, but it appears that techno and electro arrangements will also be appearing. For more info, visit Avex’s official site for samples and more info. DJ Ten does house! 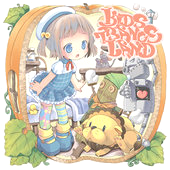 Lady Bird is a duo composed of DJ Ten and frequent collaborator Kazuhisa Hirota, better known as Spiral Dirt/Ace Closer/Floorbreaker/Cannon Cracker. They released a mini-album in late 2007, but “Sweet Song” will be their debut with a major label. Featuring Wei Son from Popteen Magazine, “Sweet Song” is a catchy dance-pop tune that’s already attracting a lot of attention in Japan. It’s different than most of the songs produced by DJ Ten and Ace Closer in the past, that’s for sure. You can hear a sample of the song plus view a preview video on the Lady Bird Official Website. Also included on the single will be a trance (hopefully) remix by the one and only DJ Kaya. There’ll also be a “Lady Bird Club Mix” which may or may not feature the classic DJ Ten + Spiral Dirt sound. Here we go again. 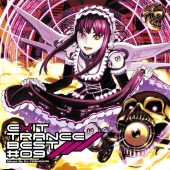 More repeats taken from Exit Trance albums released in the past year. That means tons of anime, “Caramelldansen,” and other random songs from their Quake’s various other series. Mixed by DJ Yoshinori. 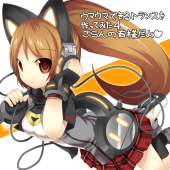 ETB 09 only has one new song: the DJ Yoshinori remix of “Wake up the world” by La Palma feat. Love Mark. He did a great job with “Summer of Love,” so this new remix is one to look out for. Mostly kid’s anime themes, I think. Not terribly interesting, at least for me. What’s up with Ryu* getting more songs on this than Cinema Trance, though? Cinema Trance looks to be as exciting as expected. Around half of the tracks also appeared on Speed SFX, so one could consider this a sort of spiritual successor. The second release in the new Quake News series. 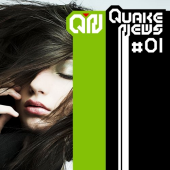 As mentioned, Quake News will be a low-priced, monthly series featuring the latest in popular Euro trance. The follow-up release to Cyber Drift, once again produced by N.O.-SYO. The first one was full of incredible rock trance, and the sequel looks to be no different. Love ParaPara ~ Eurobeat Hits 30! It’s baaack! VIP Mega Euro Star ~Hybrid~ sold very well for FARM late last year and ended up charting on Oricon’s Indies chart for over a month. It should come as no surprise, then, that FARM have finally decided to resurrect the Love Para series after a year-long hiatus. The word “hits” brings to mind repeats, and sure enough there are plenty of repeats to be found, primarily from VIP Hybrid. Still, there are a considerable number of new tracks from the likes of Blast and Dima. Unlike previous entries in the Love Para series, Eurobeat Hits 30! will be a CD only affair. It’s billed as a low-cost release, but at 2381 yen it’s only marginally cheaper than the CD+DVD releases. 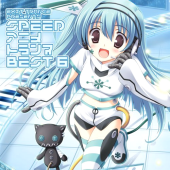 :/ Star Fire are involved in the production of the CD, however, so expect ParaPara routines for a number of the tracks. I’m willing to bet that FARM will release another Love Para later this year with repeats from Eurobeat Hits 30! and a DVD of the routines. Tentative track list and more notes after the jump. A sequel to Tokusatsu Trance so soon? It seems that the theme of this 4th release in the Gakkou Trance series will be graduation. I wonder if DJ Yoshinori’s “Pomp and Circumstance” will make a repeat appearance? There is no god. Or, if there is, he’s a very vengeful one. What else could possibly explain yet another remix of “Caramelldansen”? 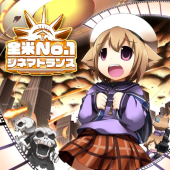 It’s surprising that it’s taken Quake this long to cover “Airman ga Taosenai” and “Cutie Honey,” though. Hot on the heels of FARM, Quake will also be doing their own cover of “Hatena de Wasshoi.” Hopefully they’ll get Ryu* to do it for maximum Bemani synergy. 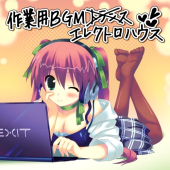 A spin-off of Working BGM Trance. A number of the tracks on this are also appearing on Quake Trance Best 20, with different remixes, of course.